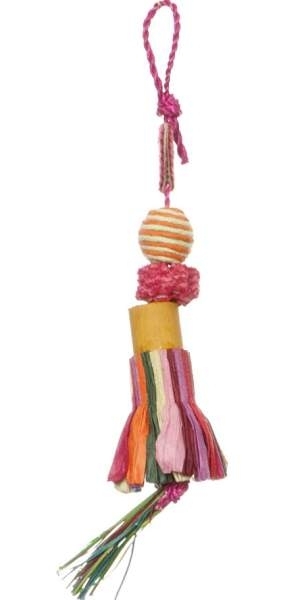 Planet Pleasure Bijoux bird toys are unique, earth friendly toys for small sized birds that provide your pet fun and entertainment. They are all natural toys that contain various textures, vibrant colors and assorted shapes that stimulate chewing and shredding, while reducing boredom. The Hula dance large is about 8" long and has a variety of chewing textures.